Did you know that today is International Tiger Day? And did you know that Tigers are at risk of extinction? International Tiger Day is held annualy on July 29 to give worldwide attention to the reservation of tigers. It is both an awareness day as a celebration. Tigers lost 93% of their natural habitat due to the expansion of cities and agriculture by humans. Fewer tigers can survive in small, scattered islands of habitat. These small islands of habitat also make tigers more vulnerable to poaching. The illegal trade in tigers - it was banned in 1987 - is thought to be worth £11billion a year, amid a boom in demand from wealthy businessmen who see tiger skins and bones as a status symbol. Three subspecies have already gone extinct, Bali (1940s), Caspian and Javan (both 1970s), while no critically endangered South China tiger has been seen for a number of years, and it is feared it might too be extinct. Greenpeace suggest that we can look for forest-friendly products and be aware of 'dirty' palm oil in a bid to help the environment and protect tigers. There have been some local stories about tigers recently though! 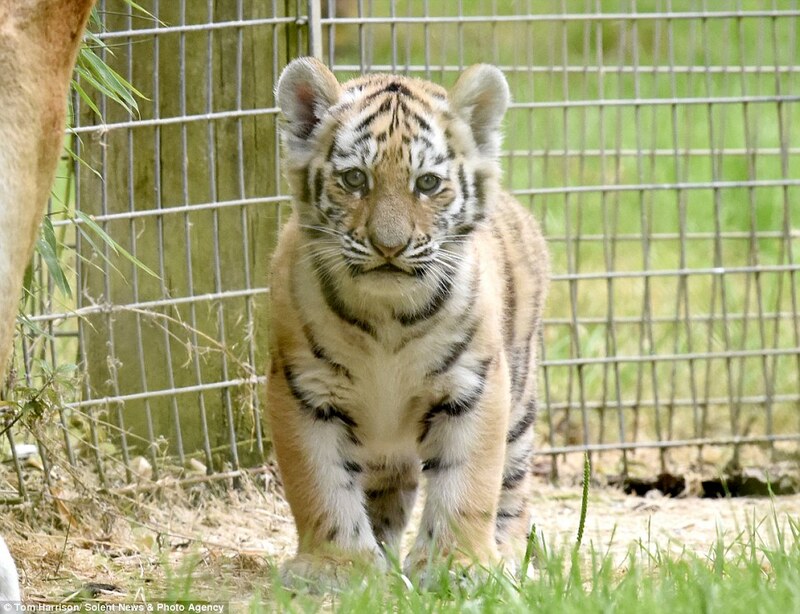 Our very own Marwell Zoo have welcomed three Amar tiger cubs to the world, that you can now go and visit! It has been 12 years since the zoo has bred Amur tigers and this is the first successful litter for Milla and Bagai – the father. The Siberian Tiger - also known as the Amur Tiger - is still under threat due to poaching. The species only lives in the wild in two countries, Russia and China, but has now been given protected status in both. The total population of Amur Tigers living in the wild is estimated to be 360. See more pictures of the new cubs here. This week's website of the week goes to Soccer Champs. Soccer Champs offers after school club football, summer camps, girls football classes, over 50's walking football, birthday parties and more! Their policy is simple. They provide a very warm, friendly learning environment for your child, who will gain social confidence being part of our groups. 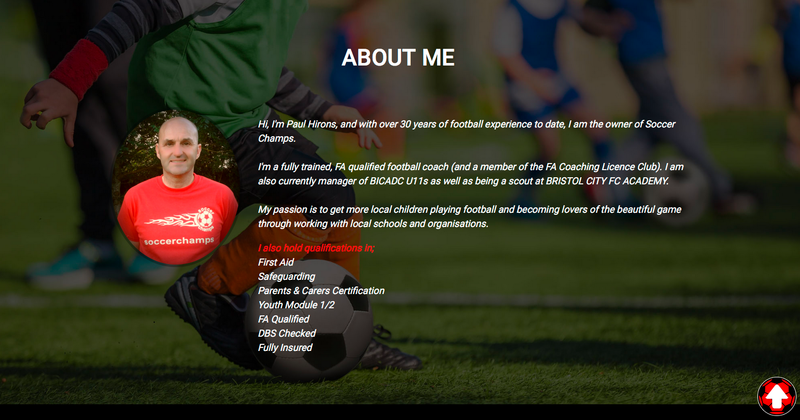 Senior Project Manager Andy started by creating a fully responsive one page website, using parallax scrolling. The back to top arrow features football shape graphic so that it's easy for people to get back to the top of the website without too much scrolling. The website uses strong imagery, and the website colour scheme uses a dark effect with the accent colour of red taken from the clients logo. The website features an about section that lets people know about the clients experiences and qualifications which is an important feature of the site. It also provides a testimonials section and a chance for people to leave a review. The website features a free download to the clients brochure/ leaflet for the respect campaign. The font used is easy to read, and very clean looking. Google fonts like these make a change from the standard web safe fonts like Arial or Times New Roman. 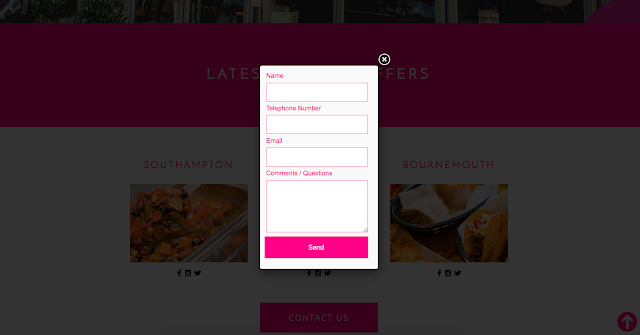 The website has some great call to actions, including pop up forms for people to fill out in order to get in touch. It's important that people feel that they can interact with your brand and get a response to any queries or questions they may have. The client kindly awarded us 5 out of a possible 5 stars and said: "Toolkit has been very friendly and supportive." May was National Walking Month and thousands of people pledged to #Try20 and walk at least 20 minutes every day. There were plenty of campaigns promoting walking to work, and encouraging the idea of getting some early exercise first thing in the morning. But really, every month should be National Walking Month! According to one study, those who walk to the bus stop rather than drive to work weigh at least 5lbs less, according to science. 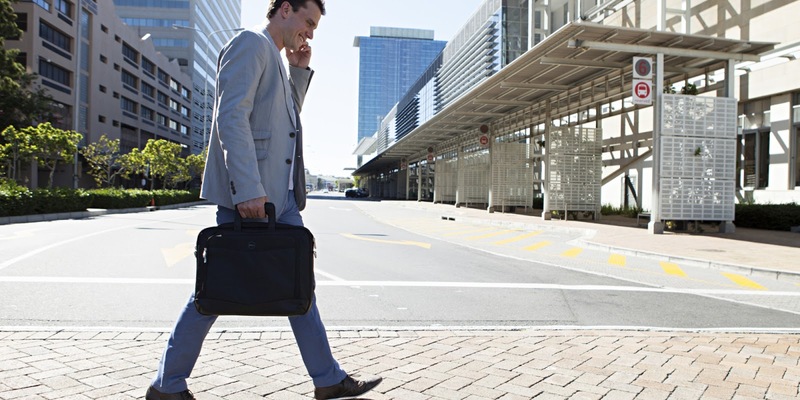 The study, by researchers at London School of Hygiene and Tropical Medicine, shows that tens of thousands could lose weight simply by walking more during their daily commute. According to a study from the London School of Economics, brisk walking is a better deterrent against obesity than any other form of exercise. That means no expensive gym memberships or the need to buy gym equipment. You and your legs can walk yourself to health. Why are we talking about this? As a Web Design company, we spend a lot of time sitting (some of us have standing desks too though!) at a computer screen. The team have to find ways outside of work or on the way to and from work to exercise or get moving. From being a dedicated gym member, to playing badminton or squash, the activities are endless. The NHS promotes walking above all other exercise too. So we know that it's important for health and well-being. We decided to run our own challenge. We've read a lot about how walking to work has changed peoples lives, and how they feel health wise. And we thought, we've got nothing to lose! For one week, the Toolkit team were challenged to walk to work every day, document how long it took and how it made them feel at the end of the challenge. Team members also upped their water intake, which is another thing the NHS and other health organisations promote. On average you are meant to drink 2 litres a day! 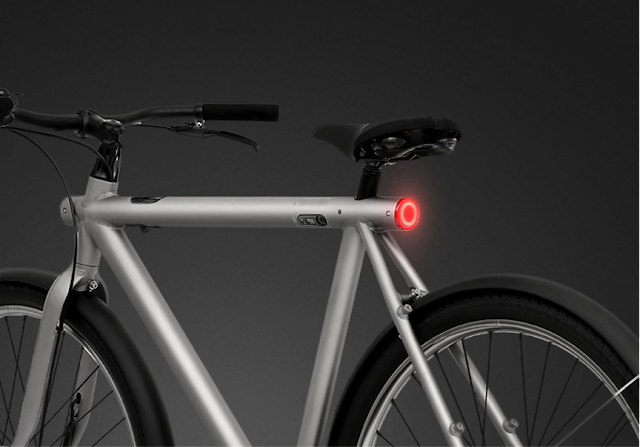 Remko, our Business Development Manager said: "It takes me 15 minutes to cycle to work. It makes me feel great because I can get away with eating more and not feeling bloated! I also drink between 3-4 pints of water a day as a norm." We had some team members who lived too far away from work so they couldn't walk. However, both of them get trains and walk a good 15 minutes from the train station to the office. Operations Manager David said: "I average 7,350 steps every working day. This includes a 5 minute walk to the train station from my home and a 15 minute walk from Southampton Central to and from our office My fitbit tells me how many steps I take per day. When I drive to work I noticeably feel lethargic due to the lack of exercise! 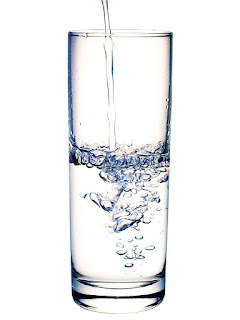 I tend to drink up to 6 pints of water throughout the day anyway, so 4 pints is easy to do, and helps feeling healthy!" We also had the opposite problem, with some of the team living too close to work to benefit from the walk. Senior Project Manager Lanara takes 3 minutes or less to get to the office, but admits that she does a lot of walking in her spare time. For the purpose of this challenge, Lanara got up half an hour early, and used her spin bike for 20 minutes before coming to work. She said: "The difference in how awake I feel has been the most noticeable thing. I don't feel as tired, I feel like I've had time to wake up properly ready for the day ahead. With regards to water, I drink nearly 8 pints of water a day as it is, which is 4.5 litres. It helps keep you hydrated, detoxed and gets rid of bloating." "Drinking tea or coffee also delivers water, and even though these drinks can contain caffeine, in moderate amounts caffeine doesn’t affect hydration." Your body is nearly two-thirds water and so it is really important that you consume enough fluid to stay hydrated and healthy. If you don’t get enough fluid you may feel tired, get headaches and not perform at your best. 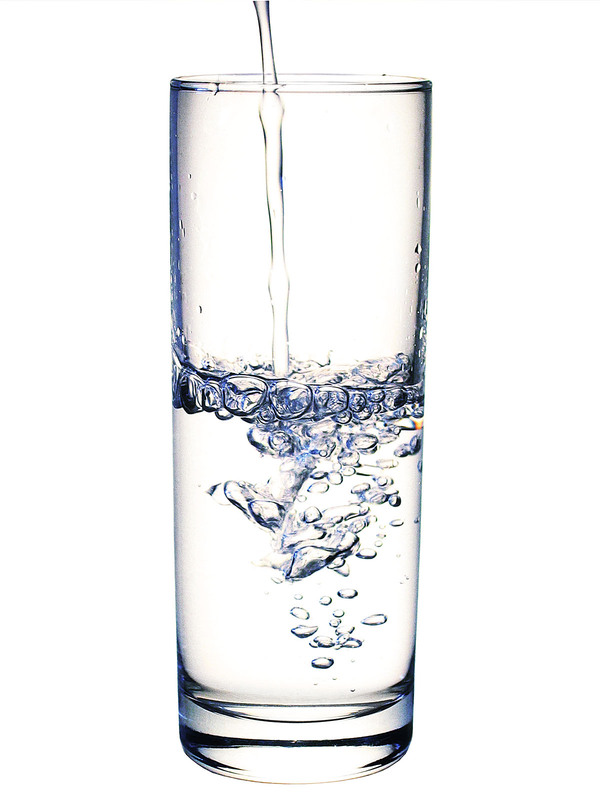 You also get water from the food you eat – on average food provides about 20% of your total fluid intake. So there you have it! Our healthy/ walking to work initiative week in a nutshell. This week's website of the week goes to Mexigo. 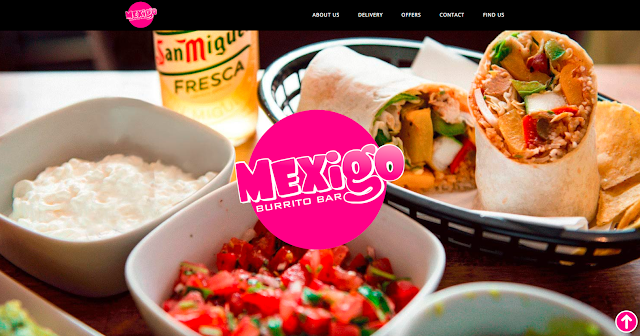 Mexigo are a Mexican fast-food chain, with restaurants in Southampton, Bournemouth and one about to open in Poole. Mexigo is a local business to us, which means we love to see it thrive. Their policy is simple. Buy fresh, Cook fresh, Serve fresh….and that’s what they do. They purchase their meat daily from local suppliers that only buy from Farms that meet Farm Assured Standards. It is free from colourings, artificial flavourings and genetic modifications. They don’t do that stuff, nor do they do frozen, It’s always fresh. Senior Project Manager Lanara started by creating a fully responsive one page website, using parallax scrolling and image hover overs. The back to top arrow features a nice slide transition so that people can easily navigate the site on all devices. The website uses the clients branding which is a vivid bright pink and black colour scheme. The imagery is all of the clients own, which works really well in representing their product and what they do. The website features social media icons so that people can visit the pages. Being active on Social Media can help you with search engine rankings. The website also features delivery information links, job vacancy information and franchising opportunities. The font used is easy to read, and very clean looking. Google fonts like these make a change from the standard web safe fonts like Arial or Times New Roman. 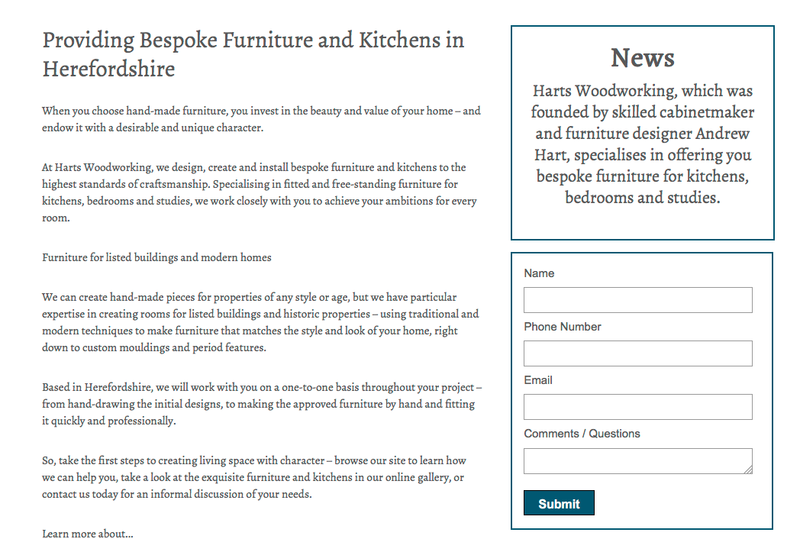 A softer, lighter font is very much on trend at the moment, and makes it look sleek on mobile and tablet devices too. 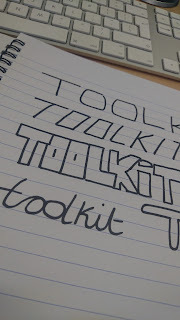 The client kindly awarded us 5 out of a possible 5 stars and said: "Toolkit is very flexible and very responsive." To follow on this weeks health and well-being theme, this blog discusses 2016's wearable tech. With more and more products becoming available on the market, from the fitbit to the apple watch... it's hard to know what would best suit you. 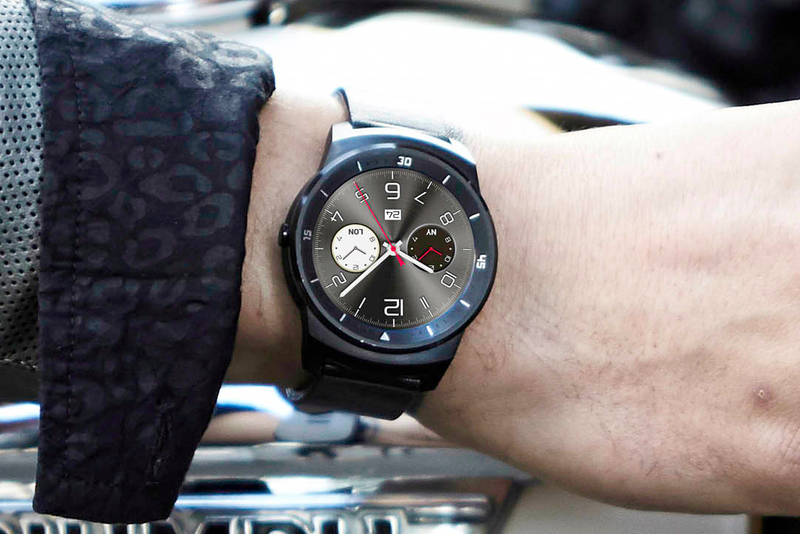 We've together a top 5 of the best smart-watches out there currently in our opinion. There are two type of smart watch around at the moment: Those with a colourful touch-screen like would find on your phone, and those which combine a regular analogue watch with smart features. "The Pebble Steel may not have a high-res and colourful screen and the square design may not be for everyone, but we think it's stylish and the display has a retro charm which also provides excellent battery life. 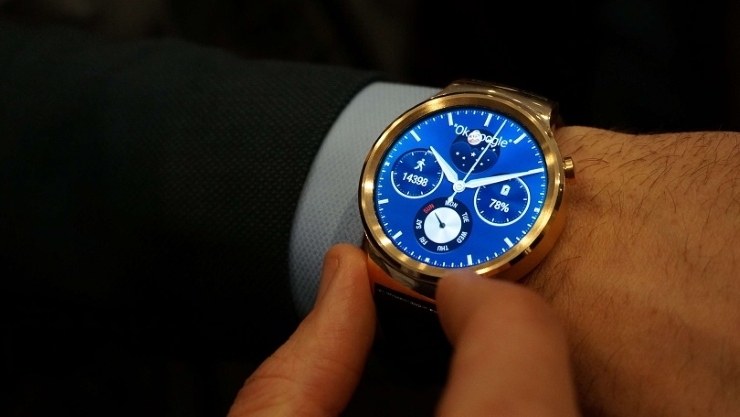 A good alternative to Android Wear if that's not your cup of tea." "It takes a lot of getting used to, and at times it feels counter-intuitive, something we're not use to with Apple devices. 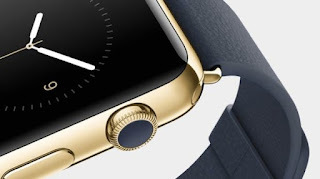 Apple is going to learn a lot from this first generation smartwatch and from the customers and fans that are using it." "The new 2nd-generation Moto 360 is a decent smartwatch offering excellent build quality and hardware. The value is good if you avoid the extras on the Moto Maker but they are hard to resist." 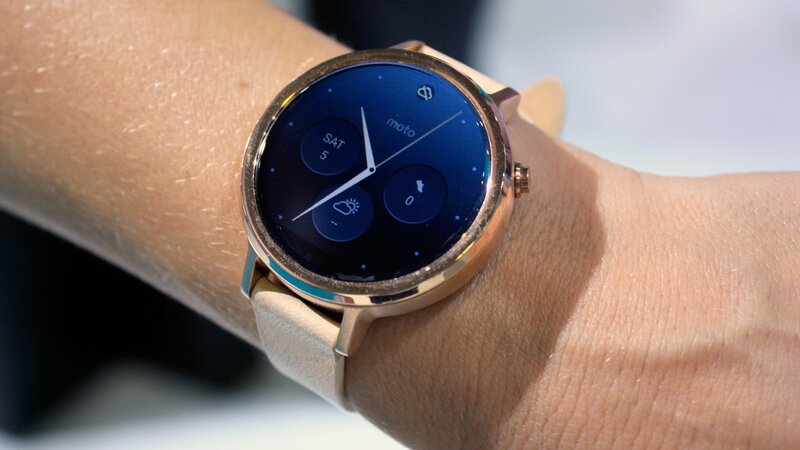 "It adds much needed style and class to the smartwatch and has an excellent round screen which doesn't have a section missing. It looks more like a traditional watch than most smart-watches meaning that it doesn't look necessary 'techie'." "Although it's pricy, the Huawei Watch is best Android Wear smartwatch on the market with its absolutely stunning design and exquisite build quality. 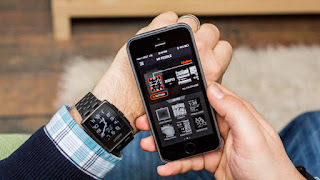 There's still work to be done though as the watch lacks GPS, the heart rate monitor etc." 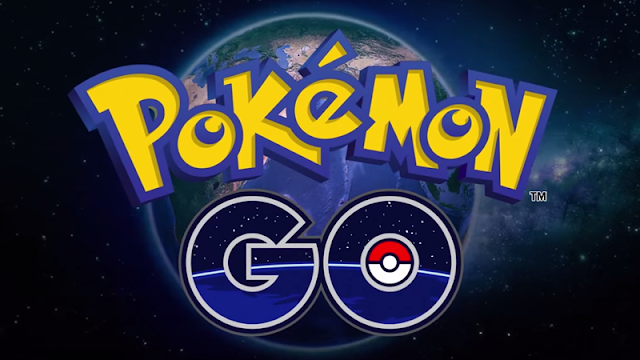 In March, we talked about the intended release of Pokemon GO! on Facebook and what it meant for the gaming industry. Pokemon Go! is finally here, and the augmented reality game has already overtaken Tinder in popularity as the most downloaded app. In fact, the shares have sky rocketed and people are talking about it left, right and centre. There are also designated places that are 'gyms' which is where you can battle with the pokemon you have caught so far once you've reached level 5. You can compete for ownership of the gym and maintain your ownership of it by battling and duelling your pokemon. The catch? You have to GO to the location of the gym to interact with it! Which means a lot more walking and aimlessly rambling. You catch pokemon nearly anywhere. In your kitchen, on your balcony, down the street in the local supermarket, parks etc. To catch a pokemon, you must throw a ball at them which you can see using your front facing camera. Yes, you can actually see the pokemon through your camera at the location you're at. This is the augmented reality part. So if you're keen to catch yourself a Pikachu, a Charizard or Squirtle... you really should read on. What pros and cons are there? Well first of all, there has been some negative press already with people injuring themselves on 'poke hunts' by not looking where they are going. Of course there are always ways people find to exploit others using the game also, so it makes sense to keep your self awareness and perhaps only go to locations that you know you are safe and in day light hours. The pros are pretty impressive. 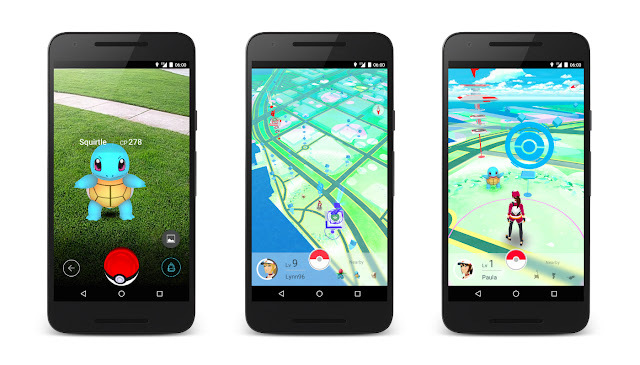 In America in particular there has already been reports of Pokemon Go! helping people lose weight! The whole game is based on walking and moving to different locations. People are finding themselves walking for miles without even realising it. The health and fitness element of it is a shock to those that usually find that video games do the very opposite. This game has revolutionised the gaming industry, making it interactive with your reality. There have also been reports of mental health being improved by Pokemon Go! too, which is really nice to hear. Want to know how to play? Take a look at the guide that has been created for users interested in getting to grips with the Poke World! When it comes to editing images for your website, or making social media posts look attractive and intriguing, there are a number of tools you can use without having to go looking for a graphic designer. There are plenty of tools that are free to use, or cost a small subscription that can be the difference between amateur looking graphics/ images and professional ones. Canva is a brilliant tool when it comes to creating eye catching facebook, instagram or twitter images to post on your timeline. 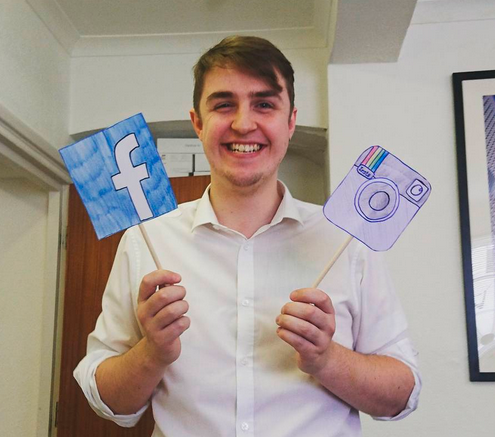 They also have layouts for creating your social media branding, designing posters and leaflets and more. Canva has free options as well as some extra items that do cost extra, a couple of dollars a piece. It's simple and easy to use, and you can download and save the graphics you make in high resolution format. PicMonkey has a lot of tools where you can edit your images. Whether you need to resize/ crop photos, touch them up, put them into a collage or layout, PicMonkey has all it's tools at your disposal. For free! There are premium features that you'll need an account to access, but again, the free tools are just as good as any. If you want your website to have a bit of interactivity, there is a brilliant cheat sheet for hover effects at Hover.css. You can simply copy and paste the code, and voila. You have some cool hover effects on your websites buttons and/or images! Stuck for ideas on how to make your call to action buttons look more appealing? Look no further. This wonderful cheat sheet provides the code for making your buttons look pretty cool! Buttons offers pages of different styles, and colours for you to use free of charge. If you wanted to put your logo inside an image of a laptop, or something similar Graphic Burger have a number of image templates you can modify as you wish. If you want to find free images to use for your website and/or social media platforms, Free digital photos has a selection you can choose from and use for free! Want to see what colour schemes work and those that don't? Use coolors to play around with colour palettes and schemes to see which you prefer. Your web designer can always take a look at the colour swatches you come up with and incorporate them into your web design. 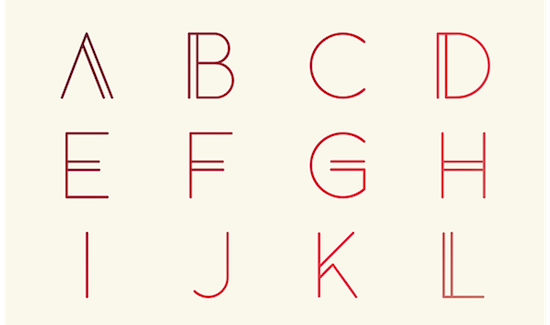 Bored of Arial or Times New Roman? We are. That's where Google fonts come in. Free to use, and web safe too! There are millions to choose from. Want free icons to use as graphics on your website? This flaticon website has millions to choose from to down load for free and use as you wish. 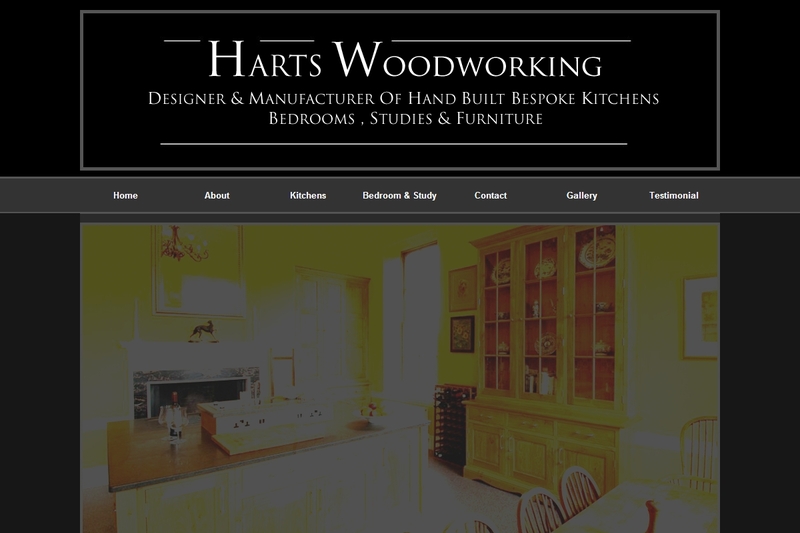 This week's website of the week goes to Hartswood Woodworking. Hartswood Woodworking design, create and install bespoke furniture and kitchens to the highest standards of craftsmanship. Hartswood already had a website with us, but purchased a redesign, in order to revamp and modernise the design. - To redesign the website, with a complete new design. - To remove the flash animation from the website, as this is no longer supported on mobile devices. Natasha started by creating some new logo designs for the client to consider before settling on the final design. 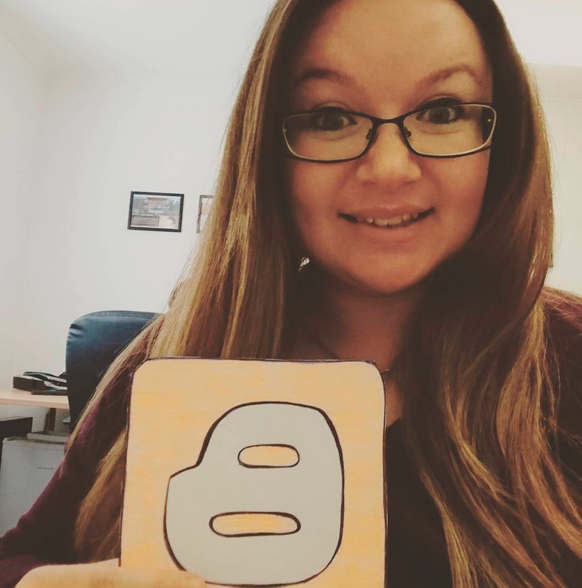 Once the logo design was completed, Natasha started work on a new design layout. The new website design uses a fresh white background, which looks very professional. The home page is laid out so that you have a large slide show of images at the top to showcase the work done, links to relevant pages which is great for easy navigation and a form call to action for people to fill out. It's important that people can find the information they are looking for easily on a web page. Whether that means using clear navigation at the top as this website does, and/or supplying thumbnails to click on further down the page for different categories or options. The website features social media icons so that people can visit the pages, as well as a Social Media bar meaning that they can view the latest Tweets and Facebook statuses from the page itself without leaving. Being active on Social Media can help you with search engine rankings. The more content you update and share, the better. 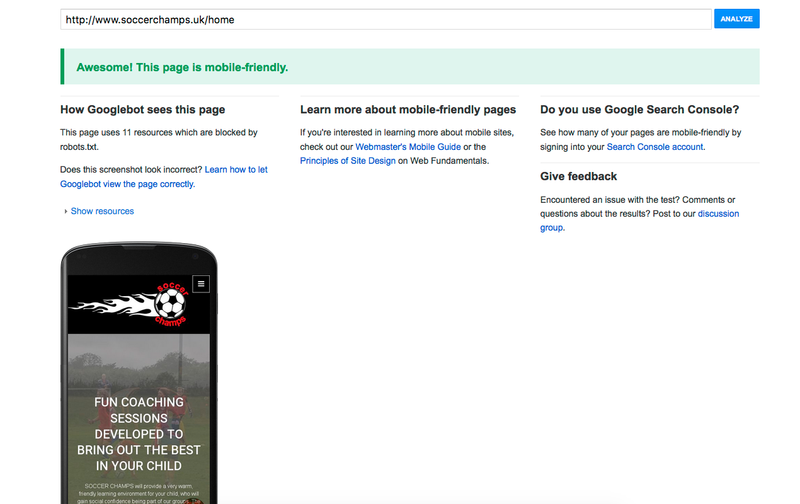 It also shows Google that you are keen to interact and engage with your target audience. The website makes use of a gallery page for people to take a look through the images, as well as a detailed service page and testimonials. The font used is easy to read, and very clean looking. Google fonts like these make a change from the standard web safe fonts like Arial or Times New Roman. The use of the accent colour of blue, makes the titles stand out and is in keeping with the new branding. 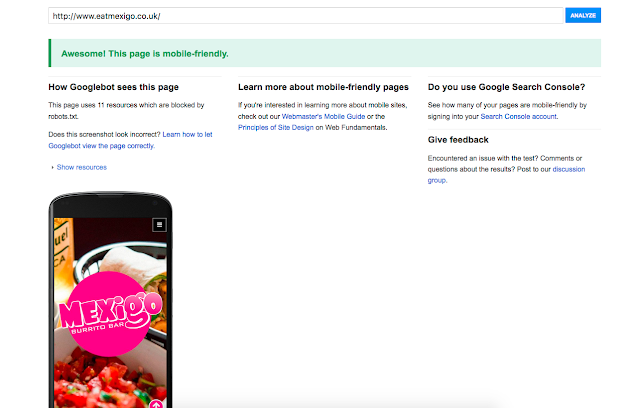 You can test your own website to see if it's mobile-friendly, using the Google Test. Amazon Prime Now has now been in Southampton for several months now and it seems pretty good. 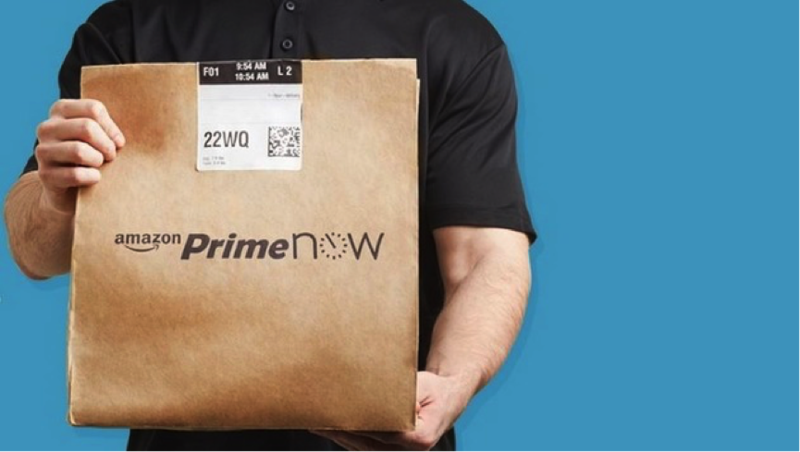 So what is Amazon Prime Now? 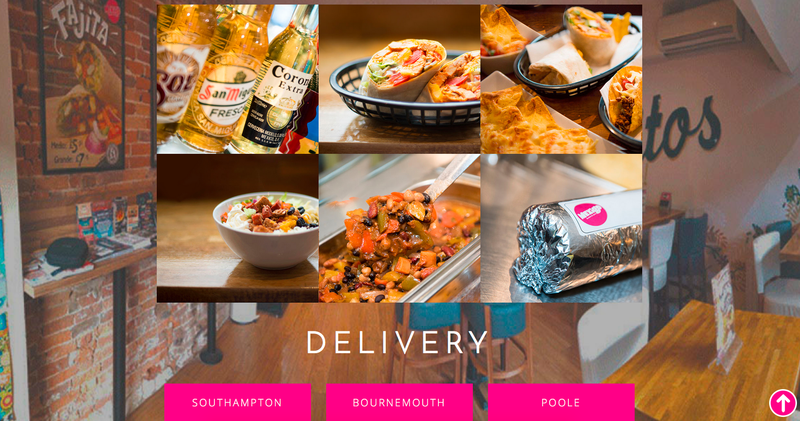 This is a service that offers super fast delivery, with one hour delivery for £6.99 or two hour delivery for no extra charge. It allows Amazon Prime members to get a selection of items quicker. As you can imagine the range of products isn’t as extensive as on Amazon.co.uk but it still does offer a great range. 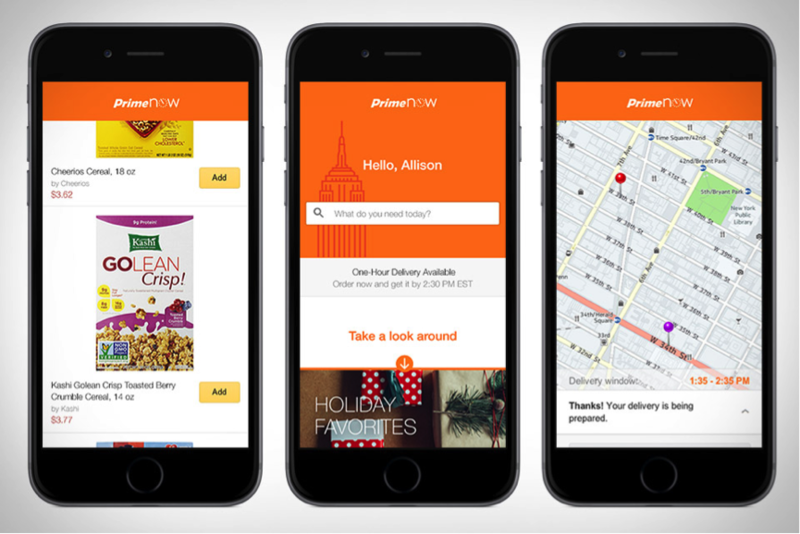 Amazon Prime Now launched its one-hour delivery service in the UK in the summer of 2015, starting in the capital London. It had already been successfully received in the US, being first available in New York at the end of 2014. As well as the Surrey and Leeds areas, Amazon Prime Now is available in some regions in Hampshire, Berkshire and West Yorkshire. These include Camberley, Lightwater, Aldershot, Bradford, Wakefield and Huddersfield. London was the first city to get the service, but areas of Liverpool, Birmingham, Newcastle and Manchester are also covered. You can find out whether you can get Amazon Prime Now deliveries in your home or work place by entering your postcode into Amazon's postcode checker here. Amazon seems to be constantly expanding the services for its Amazon Prime members, they have access to hundreds of movies and TV series via Amazon Video, super fast delivery, the ability to order groceries through Amazon Prime now and have a day of deals just for their members, Prime Day – 12th July. Because of these expanding services more and more people are signing up for Amazon Prime, which is £80 a year, a lot more worth while then it was a couple of years ago. 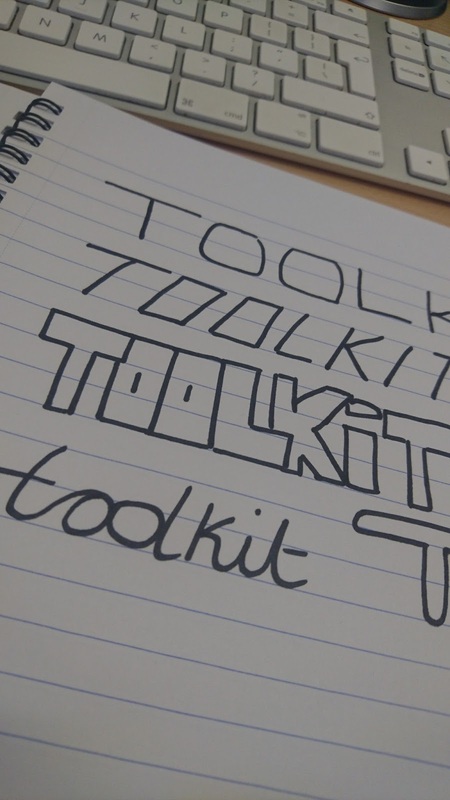 Toolkit Websites is a specialist web design company in Southampton, Hampshire. We have over 17 years of experience in successful website design for small businesses and now boast a client base of over 2,000 happy customers all over the UK! What accreditations or rating do you have? We are one of the few web design companies with the trusted 'Buy With Confidence' award from Trading Standards and we pride ourselves on our excellent customer care. We have countless 5-Star reviews for our commitment to passionate customer service and put simply; we love what we do! We are trading standards approved and 5 star rated. We have a great standing on Trustpilot. Passionate Service Guaranteed™.We believe in great quality websites, passionate customer service and a happy team! Our friendly Support team of website design experts are based here in Southampton and are always on hand to answer any questions you might have about updating your website, marketing, SEO or anything else relative to your brilliant website with us. We are committed to providing a fast, friendly and efficient service at all times. This means maintaining a high-level of customer care - remember, we're only 3 rings away! You can meet each one of them on your website on our about-us page! Have you got a portfolio with examples of your work? Yes! We do. Check our portfolio. Alternatively, if you want to see a lot more examples, we have a Pinterest page with nearly every creation we've made. We are a web design company. So Web Design is our number one service that we provide. However, we do also offer logo design services, Social media set-ups, domain and email hosting and more! We don't offer copy writing services, however we do have a company we can refer you to for any copy writing purposes. We don't develop apps or mobile sites (we build all of our websites on a responsive platform) and we don't supply booking/ payment software or functionality. If you're looking for a fully functional Ecommerce website with payment systems and store, unfortunately we're not the company for you. We specialise in beautiful and brilliant brochure style websites. But it's probably best just to give us a ring and have a chat about what you're after, so we can create a bespoke package that meets your needs. Simply visit our contact page, or call us on 02380 633 644. 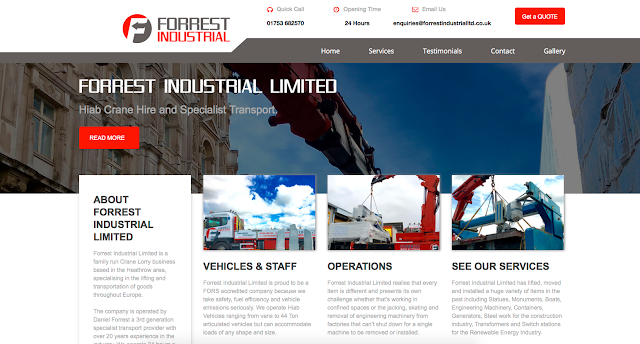 This week's website of the week goes to Forrest Industrial. Forrest Industrial Limited is a family run Crane Lorry business based in the Heathrow area, specialising in the lifting and transportation of goods throughout Europe. Senior Project Manager Lanara, began firstly by creating a website with a full width header image, and an overlapping box style panel for the content. 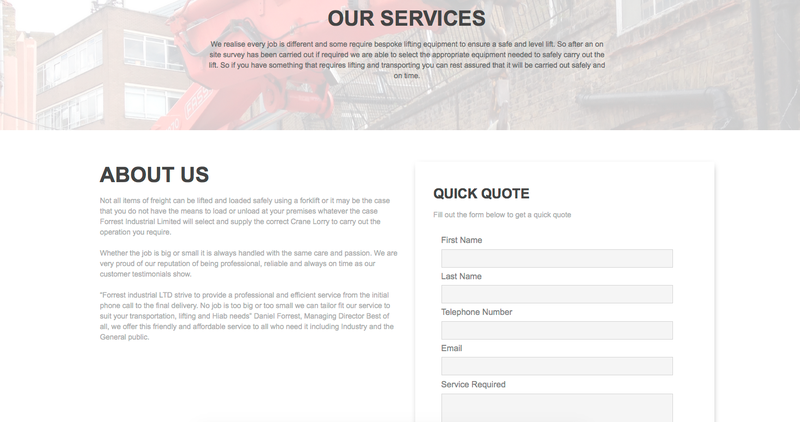 The services feature in nice rectangle boxes with a hover over colour and graphic associated to the service offered. 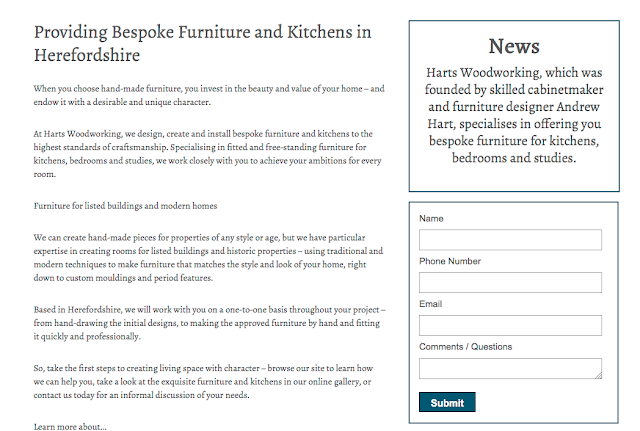 The website features some great call to action areas, such as the Quote button in the menu area, the read more button below the services and the form on the home page for people to fill out. 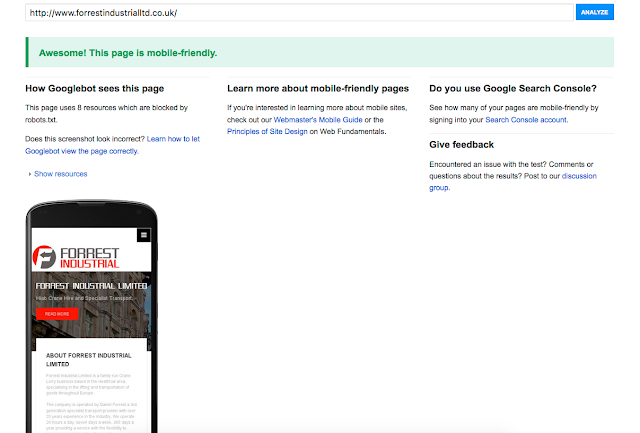 The website has a Google map for location, as well as a dedicated contact page for all of the contact details and a general enquiry form. The font used is easy to read, and very clean looking. Google fonts like these make a change from the standard web safe fonts like Arial or Times New Roman. A font can dramatically change the overall look and feel of a website design, and it's important it's in keeping with the logo branding. 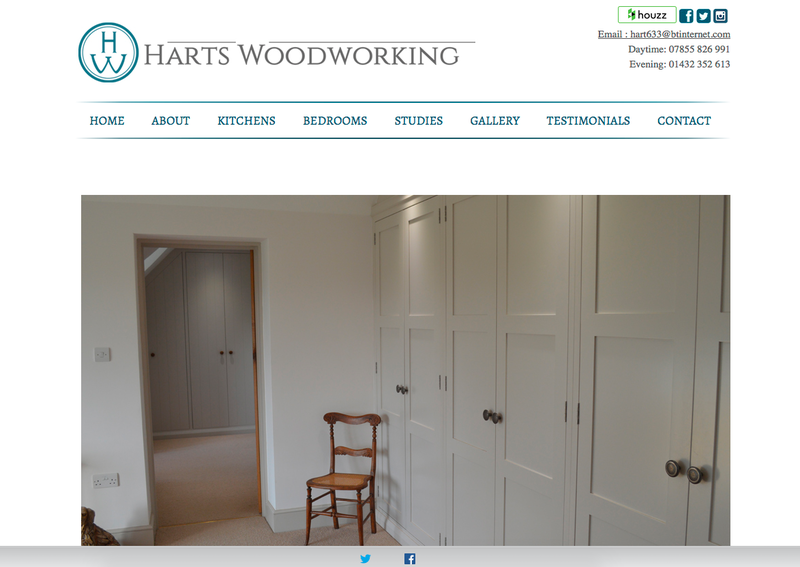 The client kindly awarded us 5 out of a possible 5 stars and said "What's great about Toolkit Websites is the easy uncomplicated way everything was explained how it was managed and the fantastic website we have. I really don't think there is anyway you could improve your service." Are you looking for a new design for your construction, trades services or building company? Contact us. "Marcus Green set up the business in 1999 whilst at Southampton University studying Computer Science. Within days of getting his first client, he quit his course and began working on the business full time. An ambitious expansion plan has been adopted to expand our client base from a handful of marine centric clients in and around Southampton to over 2000 clients based all over the UK and Northern Ireland. The business has now expanded from a home office, to a successful business located in a prestigious head office in Southampton's Carlton Crescent, employing over 10 local people. The goal of the business is to be the market leader providing websites for Small Businesses. 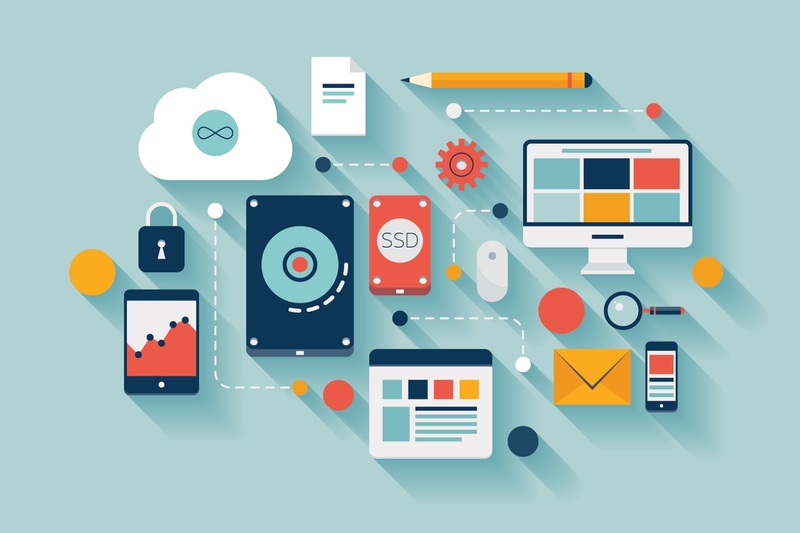 We typically build 5 to 20 page websites which are custom designed and built with our content management system that allows our clients to update their website 24/7 from any computer. Our constant focus on giving remarkable customer service is what separates us from other web designers." 1. You will need to settle on an idea that you feel will work and will be profitable. Growth hubs are local public/private sector partnerships led by the Local Enterprise Partnerships (LEPs). They join up national and local business support so it is easy for businesses to find the help they need. There is a network of 39 hubs. It might be worth taking a look at the support on offer before embarking on setting up a business of your own. 2. 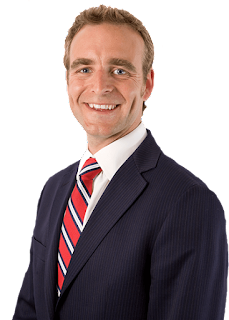 You will need to take a look at protecting your intellectual property. This protects the idea for your business or the product you have invented from it being copied or replicated. 3. You will need to research the market, develop and plan, find partners and suppliers, set up your business as well as the legal structure and register for tax and you then may need to get funding. The Direct Gov website has a host of information that you need when setting up and creating a new business. 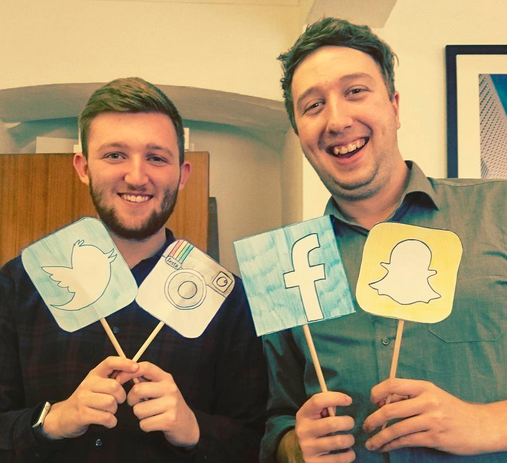 We've just celebrated Social Media Day, so what better time to take a look at what the Social Media team do and how they go about it! When the Social Media Team get into the office, they are always keen to take a look at the stats from the day before on Toolkit Websites social media platforms. We have accounts on Facebook, Twitter, Google+, Youtube, Pinterest, Blogger and LinkedIn. Social Media is fast moving and ever changing. With new interfaces, new functionality and new content to be shared and curated every day, it's a full time job! The main function of our Social Media accounts is to inform, support and interact with our target audience. 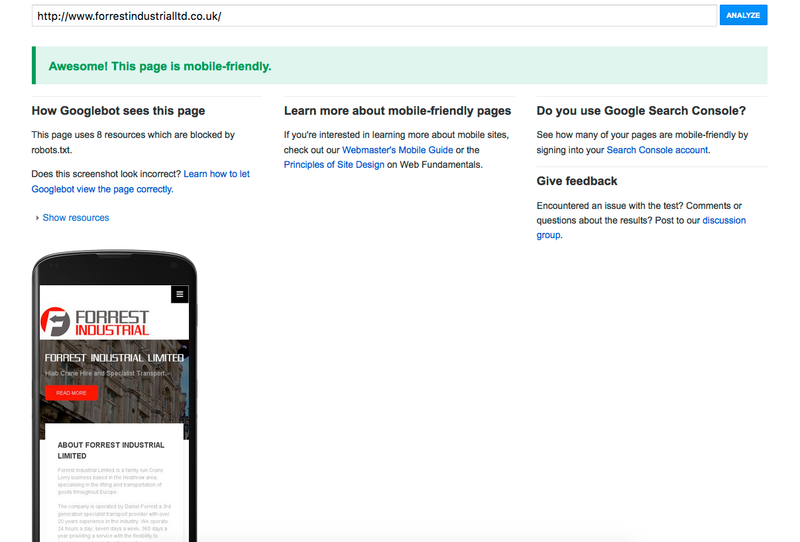 Whether you are a client of ours or not, we want our content to be helpful, engaging and give you a good insight into the world of websites and what Toolkit Websites do as a business. This means sharing information about services we provide, tips and advice for helping improve aspects of your website and sharing content and facts about SEO, Social Media, Website building and more. It's also a place where people can share their thoughts or ask any questions. Because of this, the Social Media team need to make sure that they always have their finger on the pulse. Whether it's new information about items that relate to our industry, whether it's to inform people of our latest offers or promotions and sometimes it's just to give our followers an insight into who we are as people and what our team get up to day to day! The team meet weekly for creative-thinking meetings, where we discuss ideas for the week ahead. Because Social Media is changeable and it moves so fast, it's impossible to guess what will be trending weeks in advance. We work on a week to week schedule to make sure it's fresh, up to date and engaging content that we use on all of our platforms. 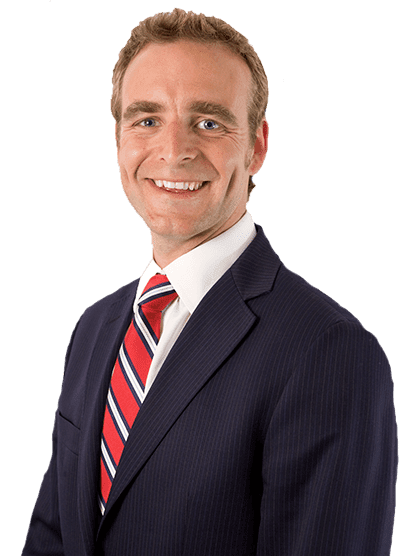 As with any small to medium company, our Social Media accounts are there to bolster our marketing strategy, and to help gain traction among people who are not yet clients of ours. 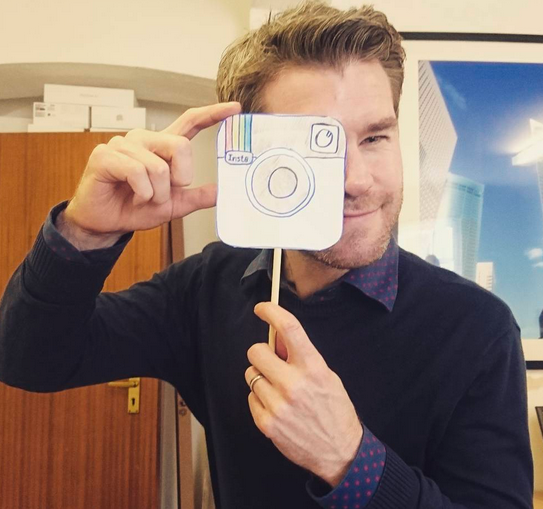 We are always exploring new platforms, and have recently been taking a look at the benefits of Instagram and Vimeo. 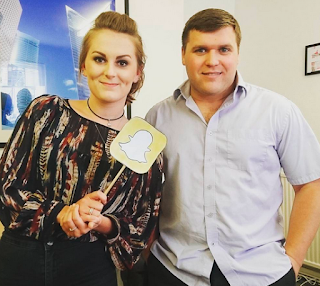 Below you can meet some of the team behind our Social Media Accounts, and see what they like best about Social Media and why! "Social Media is a great way for people to keep in touch. Whether it's friends or family, it's great to share memories and conversation online. For business, it's a brilliant tool. One that many underestimate. No matter what your business is, there is a high chance that there is a Social Media platform that will suit you and help with your marketing campaign. Personally, I think Facebook & Twitter are the forerunners when it comes to business marketing. Facebook allows you to post and share engaging content, and even offers free functionality such as a shop, call now button and more. Twitter is also brilliant, and because of it's reach means that future customers and clients can find you and take a look at what you are saying as a company. You can create online polls, create a hashtag of your own and generate a buzz about your brand. What's not to like?" "Personally, I love Social Media for its power to create togetherness. Friends and family members all over the world can be instantly be contacted at any time of day for absolutely no charge! Social Media Platforms like Twitter, Facebook and Instagram enable us to share thoughts/feelings, what we're up to, how we are doing etc. with all of our friends at once. Some may think that Social Media is making us more anti-social, taking us away from face-to-face social situations, but I'd disagree. I think Social Media's capability to help us stay in touch is amazing, especially with how busy our day to day lives are." The best thing about Social Media? It's FUN and INTERACTIVE.